New York, NY; February 25, 2013— American Jewish World Service (AJWS) has appointed Jacqueline Hart, Ph.D., as its first Vice President for Strategic Learning, Research and Evaluation. In this newly created leadership position, Hart, a highly regarded researcher and evaluator of social justice work, will be responsible for leading the organization’s efforts to measure its impact in realizing human rights and ending poverty in the developing world. Building on AJWS’s past efforts to measure the impact of its work, Hart will establish a rigorous and innovative learning, research and evaluation system to assess the progress and impact of initiatives funded by AJWS with a sharp focus on adjusting strategy and developing programs based on evidence. 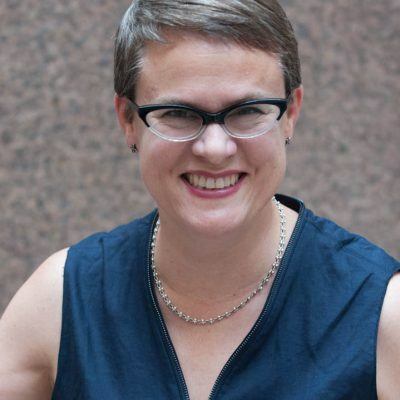 Hart is a researcher who has worked both nationally and internationally on issues such as women’s empowerment, sexual and reproductive health and rights, inequality, and program and policy development. She has collaborated with leading international human rights organizations. Most recently, Hart worked as a consultant for the Open Society Institute, and for the Solidarity Center, a global labor justice organization, where she led the first strategic learning and evaluation workshop with their Women’s Regional Empowerment Program partners in the Middle East and North Africa. Prior to joining AJWS, Hart was the director of planning, research and evaluation at Planned Parenthood of New York City (PPNYC). At PPNYC she developed assessment tools for an HIV/Family Planning integration project funded by U.S. Centers for Disease Control (CDC). The tools were selected by the CDC and the New York City Department of Health to serve as a model to build the capacity of organizations to adequately address the full range of sexual and reproductive health care risks and needs of high-risk populations. At Margaret Sanger Center International, Hart created STEPS (Steps to Transforming Evaluation Practice for Social Change), a user-friendly, web-based toolkit (www.stepstoolkit.org) that applies a social justice and human rights framework to planning, evaluating and monitoring programs promoting social change. STEPS, which was funded by the Ford Foundation, is now a globally recognized resource used by community-based organizations, funders and development experts. Hart holds a Ph.D. in Sociology from the University of Pennsylvania and completed a post-doctoral fellowship in Health Services Research at the University of Pennsylvania School of Medicine and Department of Veterans Affairs. She is a member of the graduate faculty of the Masters in Health Advocacy Program at Sarah Lawrence College.